The iPhone 8 and 8 Plus may be Apple’s “safe bets” in their 2017 iPhone lineup, but it makes improvements over the iPhone 7 in almost every category. 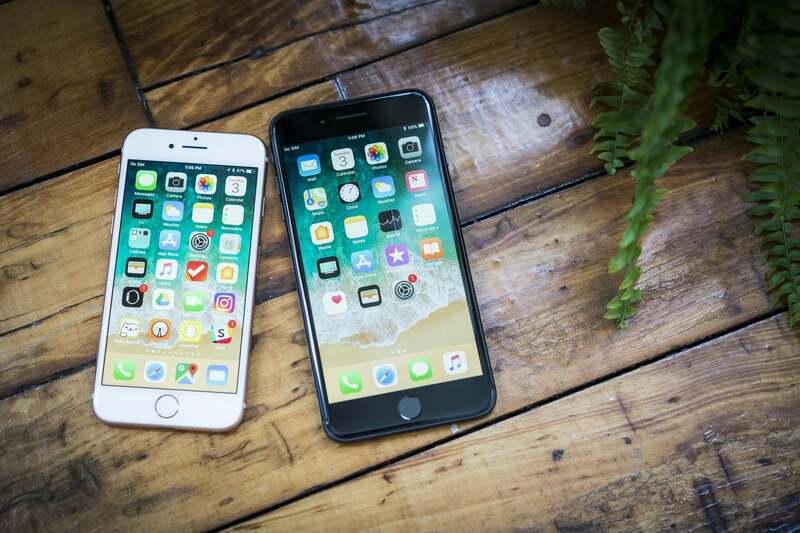 The iPhone X may be stealing the spotlight, but the iPhone 8 and 8 Plus are awesome phones with nice improvements over its predecessor. Apple releases a new iPhone every September, and it’s a given that it will be the best iPhone ever. But what do you do when the company announces not one, not two, but THREE new iPhones? How do you rank them and decide which one is the actual best iPhone ever, especially when they don’t all go on sale at the same time? Because of this, the iPhone 8 and 8 Plus are at an unfair disadvantage right out of the gate. The iPhone X was announced at the same time and is the clear frontrunner when it comes to innovation—it has an all-new design with an edge-to-edge, bezel-less OLED display and a new FaceID technology that lets you unlock your iPhone just by looking at it (literally). The iPhone 8 maintains the same look and feel of the iPhone 6, 6s, and 7, with some changes and enhancements. However, pushing the iPhone X aside, the iPhone 8 and 8 Plus make substantial improvements over last year’s iPhone 7, which Macworld’s Susie Ochs said felt “like a beta version of what’s to come.” Well, the iPhone 7 is officially out of beta, and it’s called the iPhone 8. It’s true: At a glance, the iPhone 8 and 8 Plus look almost identical to the iPhone 7 and 7 Plus. They have practically the same dimensions (5.45 inches long x 2.65 inches wide at 0.29 inches thick for the iPhone 8; 6.24 inches long x 3.07 inches wide at 0.30 inches thick for the iPhone 8 Plus), same display size (4.7 inches diagonally for the iPhone 8; 5.5 inches for the iPhone 8 Plus), same button and port locations, and they both lack a headphone jack (very sorry to say). If you have a case for your iPhone 7, it will fit the iPhone 8 like a glove. The iPhone 8 (top) and the iPhone 8 Plus (bottom) look very similar to the iPhone 7, but with one key aesthetic difference. Color wise, you have three options: space grey with a black bezel, silver with a white bezel, or gold with a white bezel. Gone is the jet black matte finish, and gone is the lovely rose gold option, but Apple switched up its standard gold option to meet us somewhere in the middle. If you compare a gold iPhone 6/6s or 7 to a gold iPhone 8, you’ll notice that the iPhone 8 has a copper-bronze tint to it, where the older models are closer to a champagne gold. I’m low-key obsessed with the new gold option—I think it’s the iPhone’s best color yet. 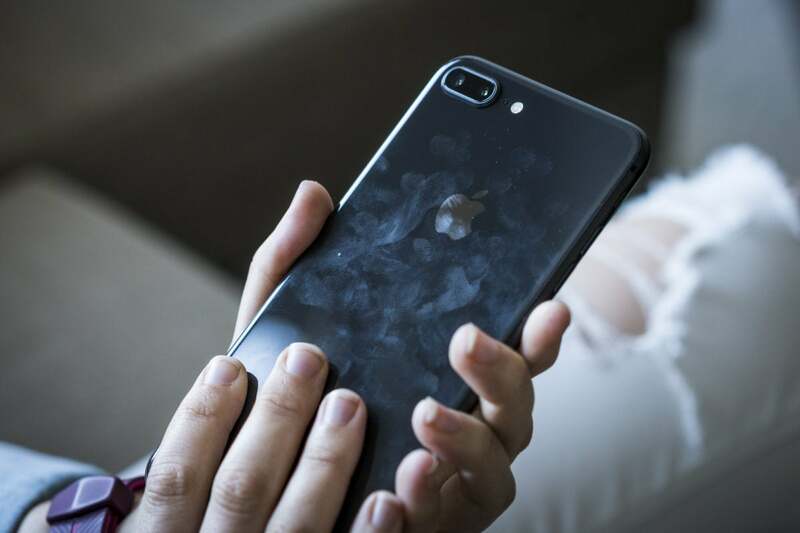 But if you look closer, you’ll notice one key design difference: It has a glass back, featuring a new glass formula that Corning made especially for Apple. Apple claims that it has a 50-percent deeper strengthening layer over Gorilla Glass. 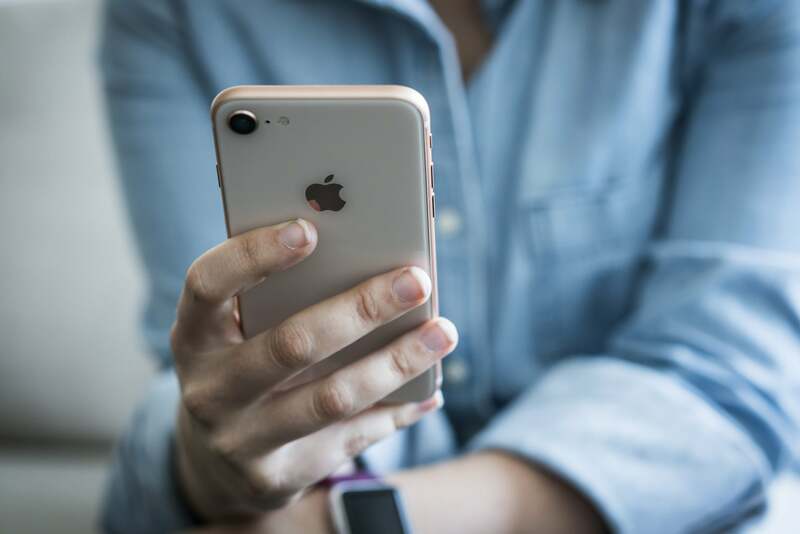 Because of the glass, the 8 models are slightly heavier than the 7 models—the iPhone 8 is 5.22 ounces, 0.35 ounces heavier than the iPhone 7; the iPhone 8 Plus is 7.13 ounces, 0.5 ounces heavier than the iPhone 7 Plus. I didn’t notice the extra heft at all when comparing the iPhone 8 to the iPhone 7, but it is definitely noticeable in the Plus version. However, the iPhone 8 Plus doesn’t feel like a heavy phone whatsoever. This isn’t the first iPhone to feature a glass back: The iPhone 4 and 4s also had glass, but Apple ditched it with the iPhone 5. I like the look of the glass a lot—it gives the iPhone a nice shine, and also gives it a bit of contrast from the main color. Take the new gold, for example. The glass back gives it a kind of cream-colored finish, and the gold really pops along the edges. One downside to glass? Smudges. Yes, the glass does make the phone a bit more slippery compared to the aluminum finish of the iPhone 7. I haven’t had a problem with it slipping out of my hands or sliding off of a table or anything unexpected, but it just feels more slippery, generally speaking. And it absolutely will show fingerprints and smudges, even after a few minutes of casual use. If you’re worried about any of the above, then a case is the way to go. There’s a reason why Apple revived the glass back. The material is more conducive to wireless charging—which can’t travel through metals—and the iPhone 8 and 8 Plus are Apple’s first phones that support the technology. 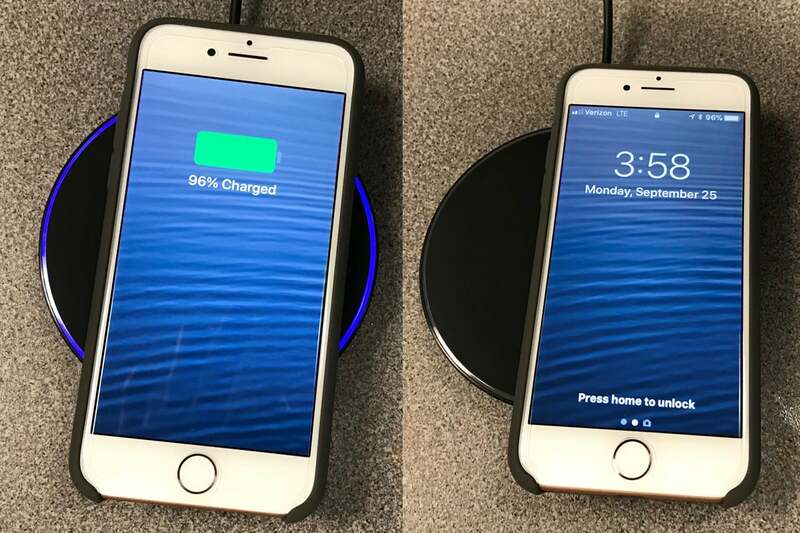 You can top up your iPhone 8’s battery with any wireless charging pad that uses the Qi standard—just place your iPhone on the pad, and it will begin to charge. It will make the same charging chime and flash the lightning bolt indicator, just as it does with a Lightning connector. Have a case on your phone? No problem: if it’s not metal, it should charge just fine through the case. I’ve tested out the iPhone 8’s charging capabilities with several different cases and haven’t had any problems. Can’t wait to try you out, AirPower. There are some downsides to wireless charging, however. To start, you can’t ignore the cost. Apple still provides a Lightning cable in the box when you buy your new iPhone 8 or 8 Plus, but if you picked up one of the charging pads that Apple sells in stores (either from Belkin or Mophie), that will set you back an additional $59.95. It’s common to have Lightning cables in every room in the house, but to do the same with charging pads could be a major investment. Wireless charging doesn’t boast of any speed improvements, either. 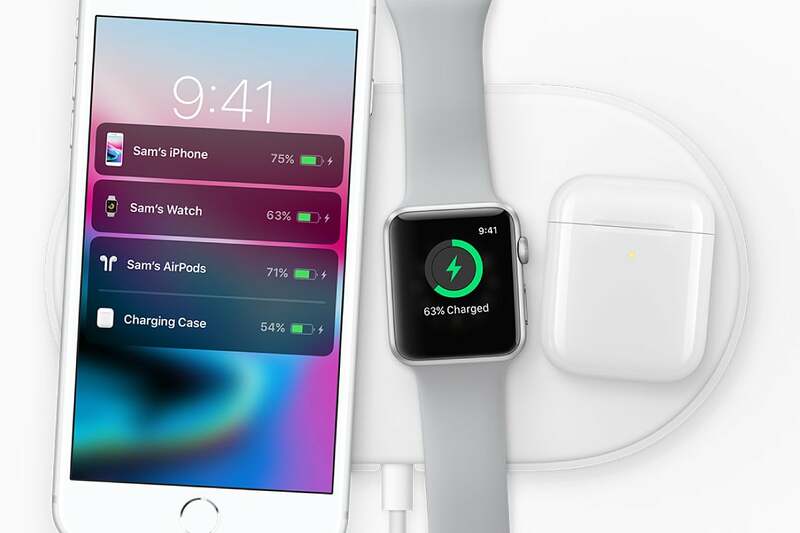 Apple states that wireless charging is about as fast as the included Lightning cable and 5W wall plug, and our testing lines up with that claim. There aren’t any wireless charging pads that support fast charging on the market yet, so if you need to reload your battery quickly, you’re better off using a USB-C to Lightning cable with a compatible power adapter. Left: This iPhone 8 has been placed properly on the charging pad, and is charging away... Right: ...but a slightly askew iPhone 8 cannot connect to the wireless charger. Also, you can’t really use your iPhone while it’s charging, which is kind of annoying. And make sure you pay attention to how you place your iPhone down on the charging pad—if it doesn’t line up with the sensors properly, it won’t charge. During my first overnight charge, I had slightly missed the target (d’oh!) and the phone was dead before morning. Because of these reasons, I suggest starting with one pad and keeping it on your nightstand for overnight charging. The iPhone 8 and 8 Plus have a brand new chip: Apple’s A11 Bionic, which boasts a six-core CPU and 64-bit architecture. Apple claims that its two performance cores are 25-percent faster than the iPhone 7’s A10 Fusion chip, while it’s four efficiency cores are 70-percent faster. Our Geekbench speed tests support that claim. 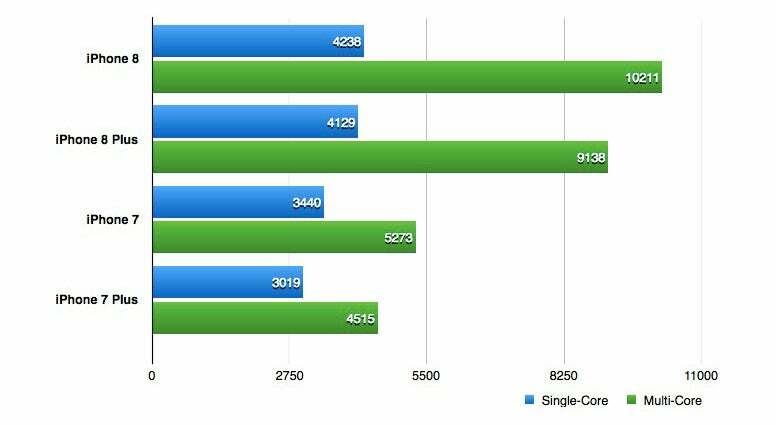 The iPhone 8 and 8 Plus are much speedier than their predecessors, based on our Geekbench tests. Longer bars are better. Honestly, all I noticed was speed on both devices, especially when compared to my year-old iPhone 7 Plus, which has been sluggish for the last month or so. Apps launched right away, unlocking the phones with Touch ID was quicker than ever, Apple Pay was seamless, and video streaming via Apple Music, Netflix, and YouTube had little to no delay. Running powerful image editing apps like Adobe Lightroom? Not a problem on either phone. Graphics-heavy games like Super Mario Run with large files? Also fast. Even installing new apps and running updates felt fast. The speed is super noticeable when playing around with augmented reality apps. There are a small handful of AR offerings in the App Store—home decorating apps from Ikea and Housecraft, Sky Guide AR for star gazing, and a dinosaur app called Monster Park – Dino World to name a few—and the iPhone 8 handles all of these better than the iPhone 7. 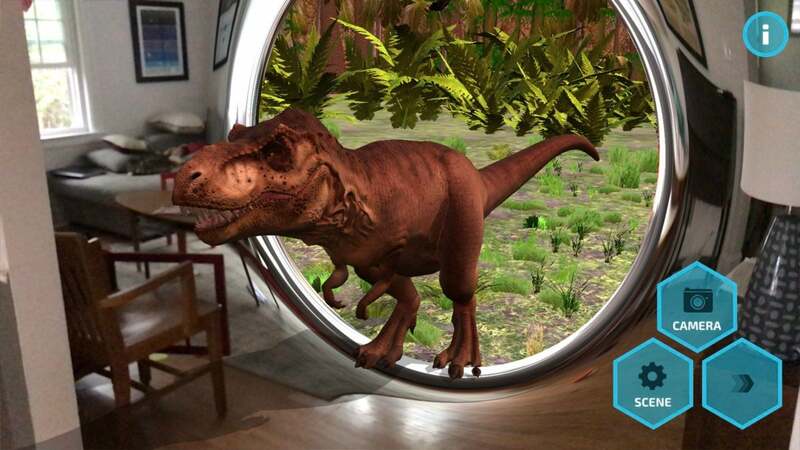 They are ridiculously fun to play around with, too: the apps prompt you to scan the floor around you, which takes just a few seconds, and then you’ll have dinosaurs stomping around your living room in no time. I also noticed slightly better battery performance, too. 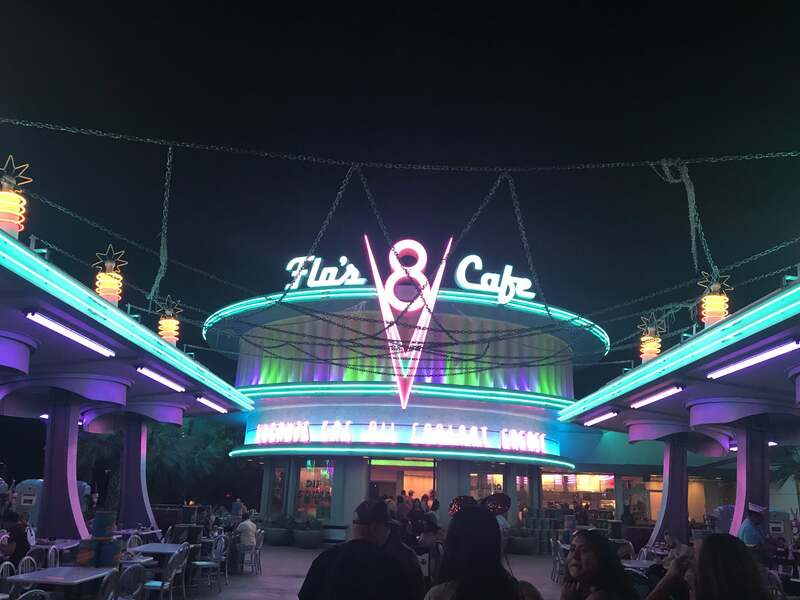 Both the iPhone 8 and 8 Plus survived a heavy day of use while I was at Disneyland without needing a charge, where I was constantly snapping photos and videos for my Instagram story, texting, playing games while waiting in line (Heads Up! 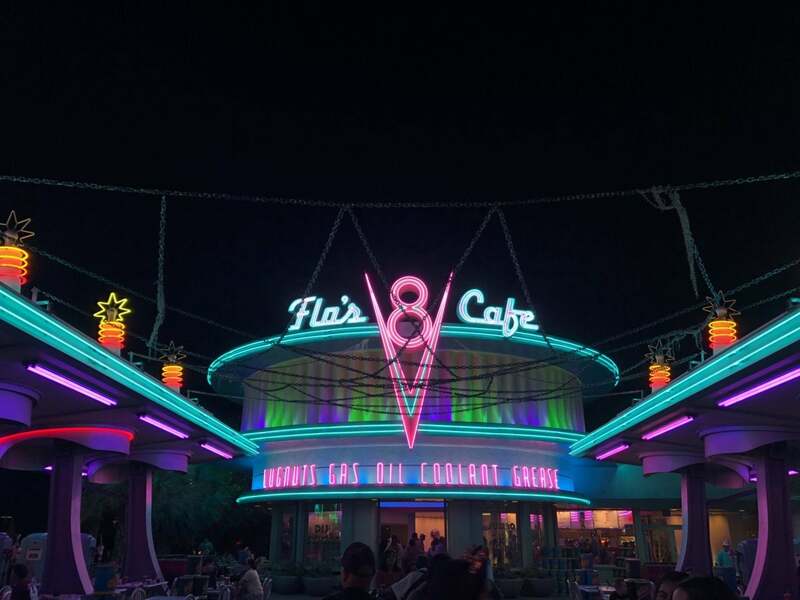 for when I’m feeling social, TwoDots when I’m not), using the park’s official app to monitor wait times and pull Fast Passes (which uses location data), streaming music, and more. A normal day of use still fares better than my iPhone 7 Plus, every single day that I’ve been testing these phones. Officially, Apple says that battery life is about the same between the iPhone 7 and iPhone 8 (12 hours of internet use on the iPhone 8, 13 hours on the iPhone 8 Plus), so your mileage will vary. On a normal use day, I typically have around 25 percent left on the iPhone 8 and 30 percent on the iPhone 8 Plus; my iPhone 7 Plus usual hovers somewhere around 15 percent. Chances are, you won’t notice much of a difference unless your older phone has experienced some performance issues (as mine has). As for call quality, every call I made on both the iPhone 8 and 8 Plus sounded crystal clear, both when using Wi-Fi-based calling or FaceTime calls and while making calls over my cellular network (AT&T). I haven’t experienced any of the crackling issues that have plagued other iPhone 8 owners. Luckily, Apple pushed out an iOS 11 update (iOS 11.0.2) on Tuesday that should fix the crackle problem, if you have it. Another welcome feature is the iPhone 8’s TrueTone Retina HD display, which automatically adjusts the white balance on the display to better match the ambient light around you. It’s really noticeable when you compare the iPhone 7 to the iPhone 8—the iPhone 8 (and 8 Plus) look crisper and warmer. If you don’t have an older iPhone handy, you can toggle this setting off or on while setting up your new iPhone 8 or 8 Plus to see the difference. 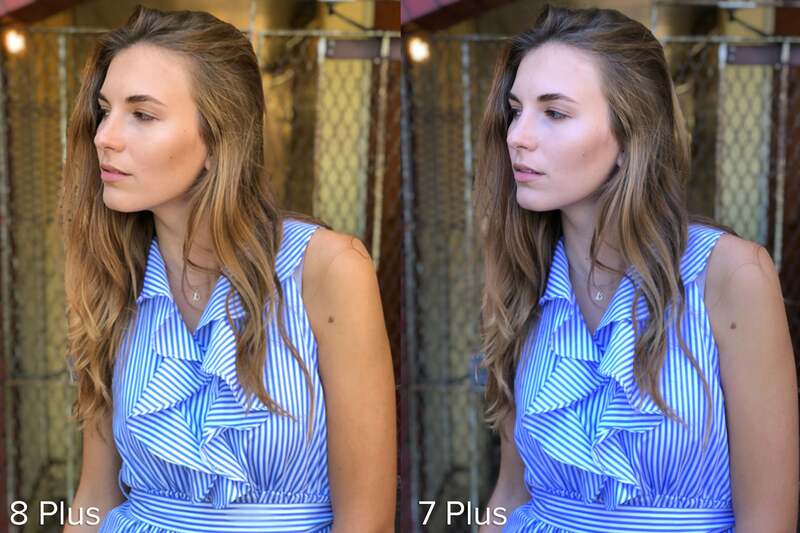 Looking at specs alone, it doesn’t look like the iPhone 8 or 8 Plus has improved their cameras much over the iPhone 7 or 7 Plus. But when using the cameras in the field, there are noticeable improvements. The iPhone 8 has a 12 megapixel back-facing camera, with ƒ/1.8 aperture and digital zoom capabilities up to 5x—just like the iPhone 7. It still has optical image stabilization, a quad-LED True Tone flash, noise reduction, auto HDR, and all of the other marquee iPhone 7 camera features. I’ve been using the Plus version of Apple’s phones since the launch of the iPhone 6, and the Plus has always had a better camera over its baby brother. 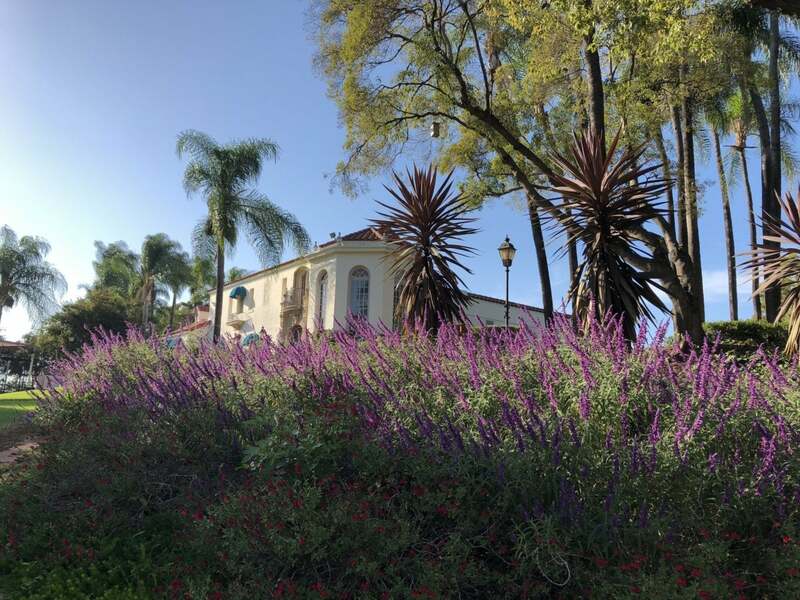 I was really impressed with what the iPhone 8 can do with its camera—all of the photos I took look great, with vibrant colors and sharp details that I wasn’t expecting to see. The iPhone 8 (top) versus the iPhone 8 Plus (bottom). 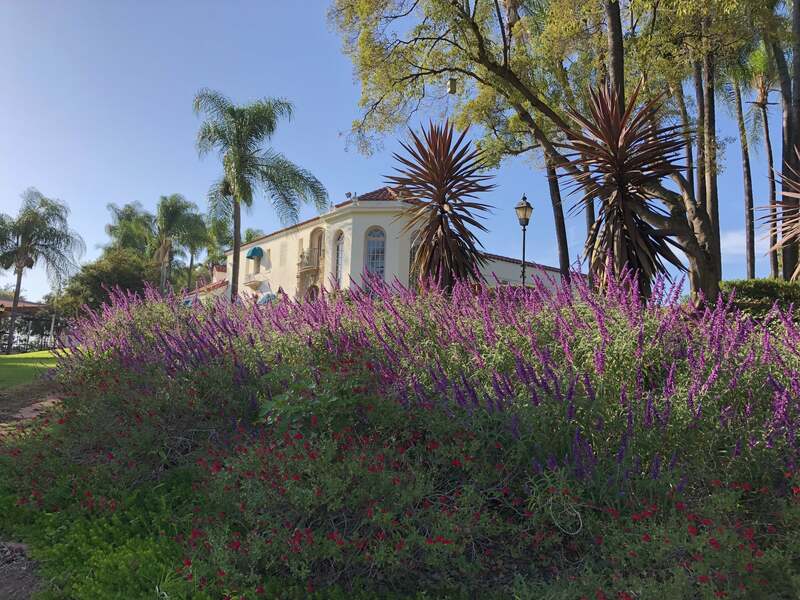 While the 8 Plus has better sharpness, vibrancy, and balance, both cameras capture beautiful landscape shots. iPhone 8 (left) vs. iPhone 8 Plus (right): Here, the iPhone 8 Plus has slightly better color balance, but the iPhone 8 comes pretty dang close. The camera app hasn’t changed at all in iOS 11, so you can launch it and start taking great photos right away. Because of the speedy A11 Bionic chip, the camera was quick to focus and snap pics, even if I was in motion. The iPhone 8 Plus has more to offer. 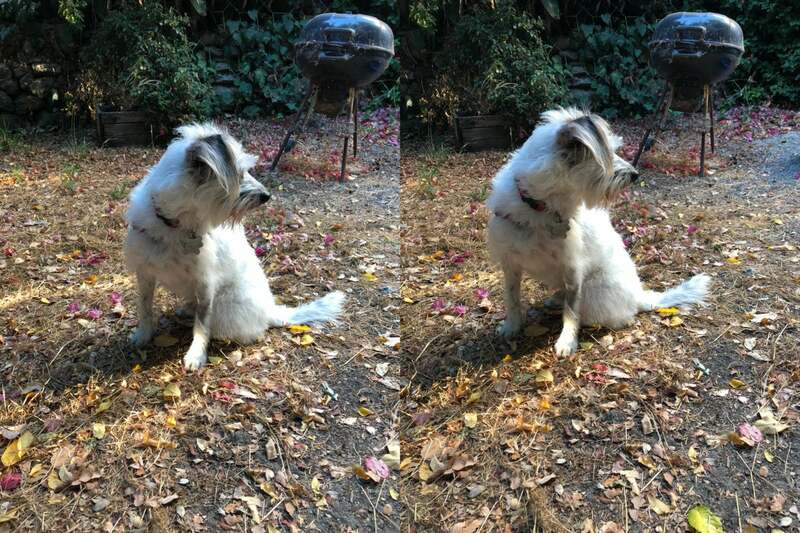 Both the iPhone 7 Plus and iPhone 8 Plus cameras still rock dual 12-megapixel setups, with a wide-angle lens at an aperture of f/1.8 with OIS, and telephoto lens at f/2.8. The 8 Plus has upgraded its Sony sensor to be more power efficient and to allow “deeper” pixels over the iPhone 7 Plus. 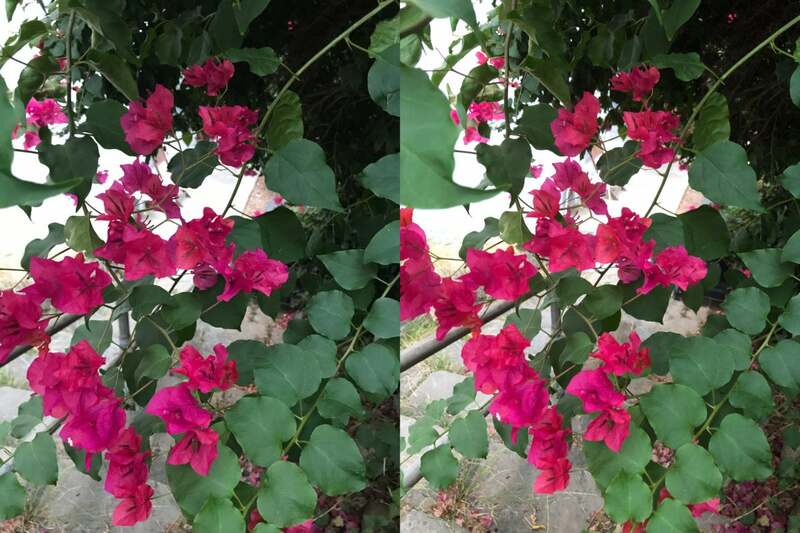 Immediately, I noticed a better color balance on the iPhone 8 Plus over the iPhone 7 Plus. Colors were just a bit more vibrant, but in a natural way—nothing seemed heavily filtered or oversaturated. iPhone 7 Plus (left) vs. iPhone 8 Plus (right): The iPhone 8 plus reveals richer color and warmer details over the iPhone 7 Plus. My nighttime and dusk shots had also greatly improved, as the iPhone 8 Plus is better equipped to handle low-light photos. Top: iPhone 8. Middle: iPhone 7 Plus. Bottom: iPhone 8 Plus. 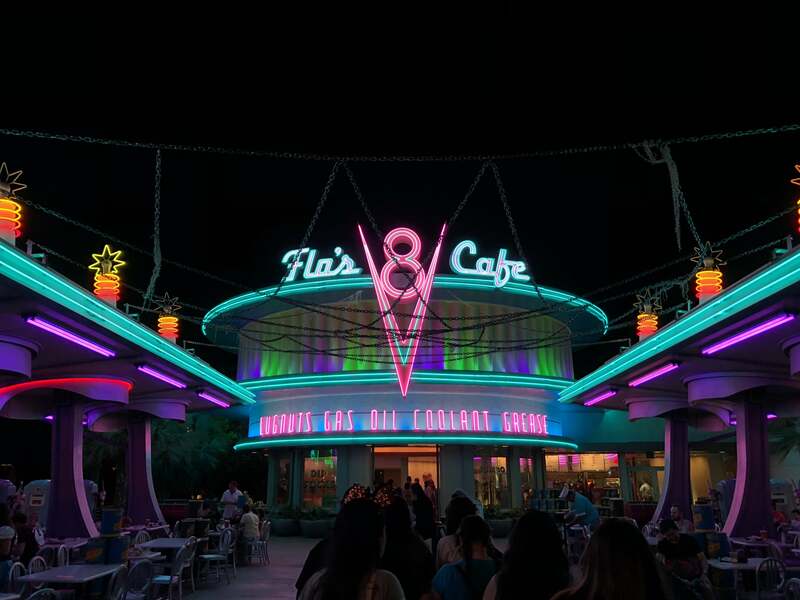 There’s a noticable difference between the iPhone 8 and the others—the 8 had trouble focusing with the neon signs. There’s a slight difference between the iPhone 7 Plus and 8 Plus, with the neon shining a little brighter on the 8 Plus. You still can see some levels of graininess in low-light environments, especially if you’re using the zoom, but it offers better results than the iPhone 7 Plus. Mind you, I am not a professional photographer by any means. I don’t own a DSLR, and I’m mostly concerned with how good my photos look for Instagram-related purposes—but even I can clearly see the differences between my amateur shots with my naked eye. Because I’m no expert, we handed the heavy camera testing off to someone who is: Adam Patrick Murray, Macworld’s in-house photographer and video producer. One feature that left us both disappointed is the iPhone 8 Plus’s Portrait Lighting mode, which uses depth and facial recognition to selectively alter the image to recreate professional-grade studio lighting effects. This feature is still in beta, so we can’t judge it too harshly yet, but some of our results so far leave much to be desired. 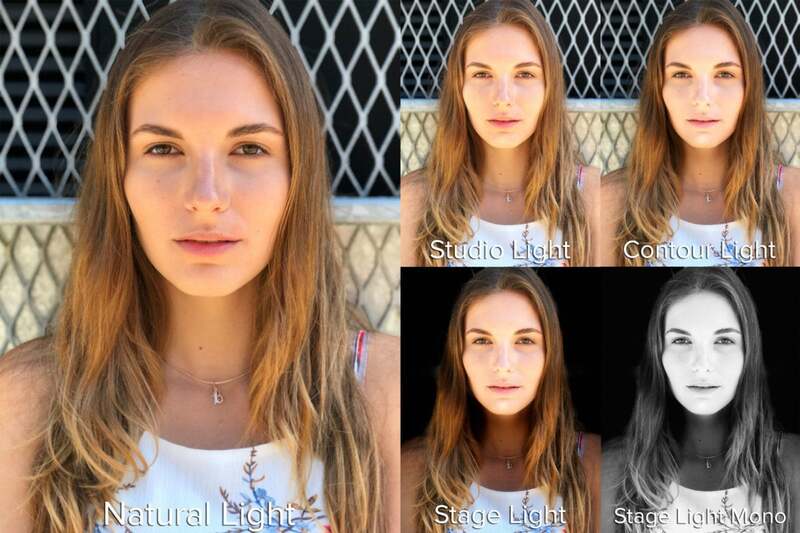 Two modes—Studio Light and Contour Light—performed ok, adding a nice level of backlighting and facial details that could be useful in certain settings. However, Stage Light and Stage Light Mono look flat-out silly most of the time. Use these sparingly. ...yeah, Portrait Lighting is still in beta. Luckily, the default Portrait Mode setting—Natural Light—is a joy to work with. The bokeh effect is soft and subtle, and the clarity of most photo subjects is excellent. 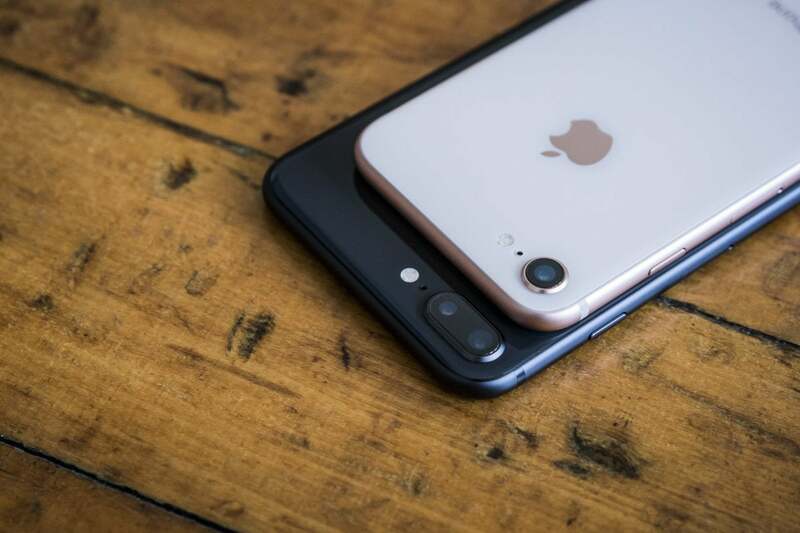 We published a separate article that focuses solely on the iPhone 8 Plus’s camera, so be sure to check that out for our full thoughts. It’s difficult to put a label on the iPhone 8 and 8 Plus. It’s a definite update from 2016’s iPhone 7—even though it looks almost exactly the same—but it’s different enough that it doesn’t deserve to be given an “S” naming scheme. To me, it feels more like an “iPhone 7 and three-quarters”: Too different to be a 7, not quite different enough to be bumped into a new category. And that’s why, understandably, some iPhone die-hards may be bored with the iPhone 8. It’s a big improvement, but not quite innovative enough to be exciting. All of the innovation hype lies with November’s release of the iPhone X. However, the iPhone X might be too radical for many users. Remember when we all flipped out over the loss of the headphone jack on the iPhone 7? For some, losing Touch ID and relying on gestures for navigation instead of a Home button will be just as hard of an adjustment. The iPhone 8 might be playing it safe, but I don’t think that’s a bad thing. So, who is the 8 and 8 Plus for? If you’re on the iPhone Upgrade Plan (or other similar plan with your carrier), you have no interest in the iPhone X, and the cost difference between your current phone and an 8 isn’t that much, this is a worthwhile upgrade. If you’re rocking an iPhone 6s or older, the improvements here will be noticeable, too. But if you’re on an iPhone 7 and still love it, you can probably stick with your current phone for one more year and be just fine. With wireless charging, a speedy new processor, and a familiar design, the iPhone 8 feels like your trusty iPhone—only better. With a killer camera, wireless charging, a speedy new processor, and a familiar design, the iPhone 8 feels like your trusty iPhone—only better.